Scrip is simply a term that means substitute money! 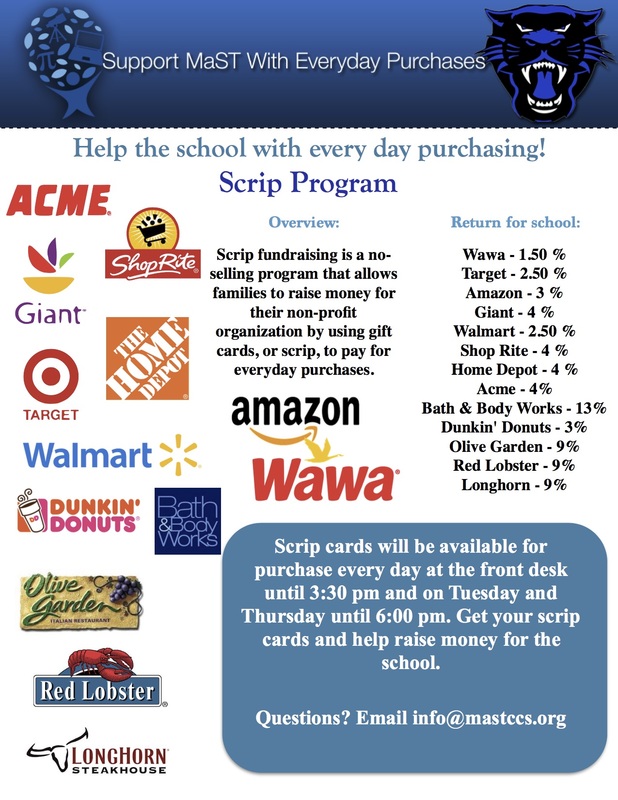 Scrip fundraising is a no-selling program that allows families to raise money for their non-profit organization (NPO) by using gift cards, or scrip, to pay for everyday purchases. Families order gift cards from their NPO and pay face value, and the NPO orders the gift cards from Great Lakes Scrip Center for less than face value. The NPO keeps the difference, or rebate and that’s where the fundraising comes from. It’s really that simple! When families use scrip gift cards instead of cash, checks or credit cards at their favorite retailers, they are fundraising while they shop. Great Lakes Scrip Center offers a huge variety of retailers, including grocery stores, restaurants, gas stations and so much more, so it’s easy to make scrip a part o f any shopping routine. Just by regularly using scrip for weekly purchases, a single family can easily generate $500 or more annually toward their fundraising goals. What do you have to do? Enroll your family on ShopWithScrip.com for a convenient way to order your gift cards online. You can place your family’s order any day at any time from any Internet connected computer or device. It’s as easy as that! There’s no cost to register. Just visit ShopWithScrip.com and click on the “Create Account” button in the green “Family Sign Up!” box on the left side of the page. Follow the simple steps to set up your EICIN account in minutes. Be sure to enter the code 413AF43F34479 at sign-up! A complete list of stores is available on the site once you sign-up. Happy shopping and giving back to MaST! Again your code for sign-up is 413AF43F34479!